ScienceDaily (Oct. 28, 2008) — Did the Bible’s King David and his son Solomon control the copper industry in present-day southern Jordan? Though that remains an open question, the possibility is raised once again by research reported in the Proceedings of the National Academy of Sciences. For years, scholars have argued whether the Edomites were sufficiently organized by the 10th to 9th centuries BCE to seriously threaten the neighboring Israelites as a true “kingdom.” Between the World Wars, during the “Golden Age” of biblical archaeology, scholars explored, as Levy describes it, with a trowel in one hand and Bible in the other, seeking to fit their Holy Land findings into the sacred story. 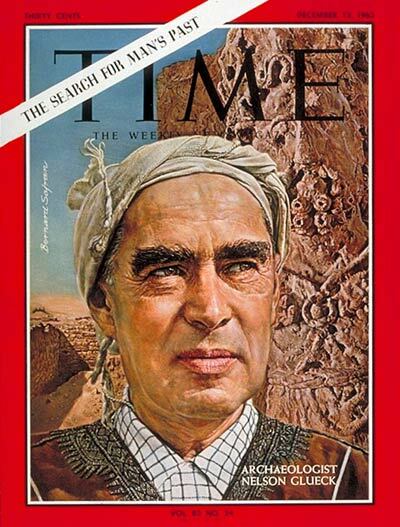 Based on his 1930s surveys, American archaeologist Nelson Glueck even asserted that he had found King Solomon’s mines in Faynan/Edom. By the 1980s, however, Glueck’s claim had been largely dismissed. A consensus had emerged that the Bible was heavily edited in the 5th century BCE, long after the supposed events, while British excavations of the Edomite highlands in the 1970s-80s suggested the Iron Age had not even come to Edom until the 7th century BCE. Yes, it sure does. Combine this kind of cool stuff with the ongoing demise of the Documentary Hypothesis, the Rise of the Rohl Chronology and such, and Biblical historicity advocates like me are finally starting to have fun again!